This spring join Eser participants in discussing sticky situations that challenge our assumptions and explore Jewish and contemporary ideas on issues including Jewish responsibility for other communities, free speech vs. offensive speech, the environment, commerce and relationships. Over a series of ten weeks, you’ll learn with a young, dynamic educator in an intimate setting over food and drink. 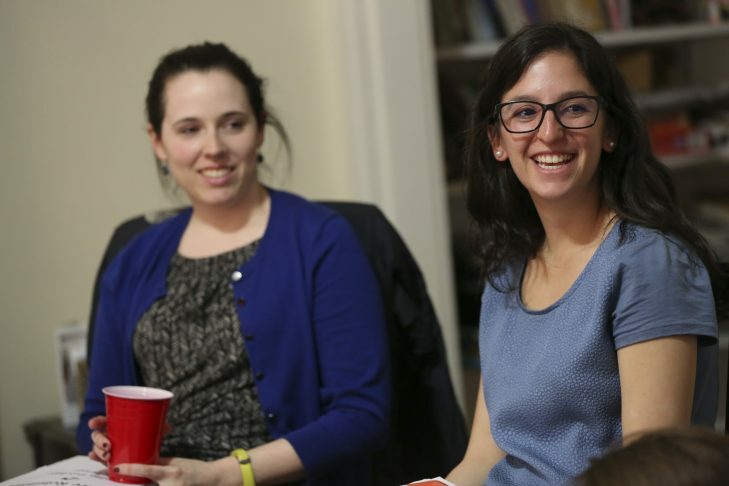 In addition to learning, you’ll enjoy a Shabbat dinner and social events with other young Bostonians. 2. Freedom of Speech: Does that Include the Right to Offend? 5. Eating for the Earth: Must I Buy Local and Organic? 6. High Stakes: Should Weed be Legal for All? 7. Parent Trap: Am I Required to Honor My Parents? 8. What’s Mine is Mine, What’s Yours is Mine: Who Has Privacy? 10. Student Debt: Forgive and Forget? Eser is a program of Hebrew College and CJP. Registration is open to individuals of all backgrounds in their 20s and 30s. Register now to take advantage of the early bird rate of $80. Visit the Eser website for more information.